April 23rd is Impossible Astronaut Day. This holiday was first celebrated in 2011 in recognition of the most popular Dr. Who TV episode thus produced. Dr. Who fans are a dedicated group and well they should be. This science fiction TV show started in 1963 and merrily strides the line between serious (and complicated) sci-fi and campy mellow drama with ease. The main character is a time traveling alien armed with a “sonic screwdriver” and a spaceship shaped like a British police call box that is much bigger on the inside than on the outside. What’s not to love? The concept of Impossible Astronaut Day is completely charming and fires the imagination. Who hasn’t looked in a night sky and pondered touching the stars? Space holds mysteries that we haven’t even begun to unlock. It seems that just as we get comfortable with one theory on our universe, a scientist discovers a new fact that challenges our understanding and we are sent back to reimagine it all again…this is what dreams are made of. That fluid connection between space, science fiction and imagination is not limited to Dr. Who. Impossible astronauts are everywhere. This year, we lost a multi-talented musician, David Bowie (1947-2016). His career as singer, songwriter, actor and record producer inspired untold millions of fans. Bowie wrote songs about a character he named Major Tom whom he based on his own life. Major Tom, like Bowie, is an intrepid explorer who feels a disconnect with society. In the song, “Space Oddity”, he loses communication with ground control and drifts blithely into space. This reference to the Major Tom myth played out in later songs like “Ashes to Ashes” and “Hello Spaceboy”. Bowie was truly an impossible astronaut. We at rokz, are joining the growing number of people who celebrate this new holiday. We think the world needs more days that encourage people to let their imaginations soar to the heavens. Whichever impossible astronaut you align yourself with, we ask you to lift your glass in a toast to those who aren’t afraid to step into the unknown. 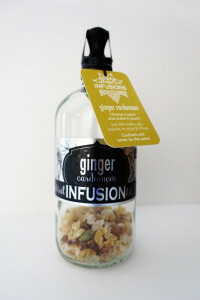 Prep: Infuse gin with rokz Ginger Cardamom Infusion Kit (ideal infusing time – 4 days). Fill a glass with a couple of large ice cubes (we used spheres to get a planetary look!). Add the gin and lemon juice and ice into a shaker and shake for about 20 seconds. 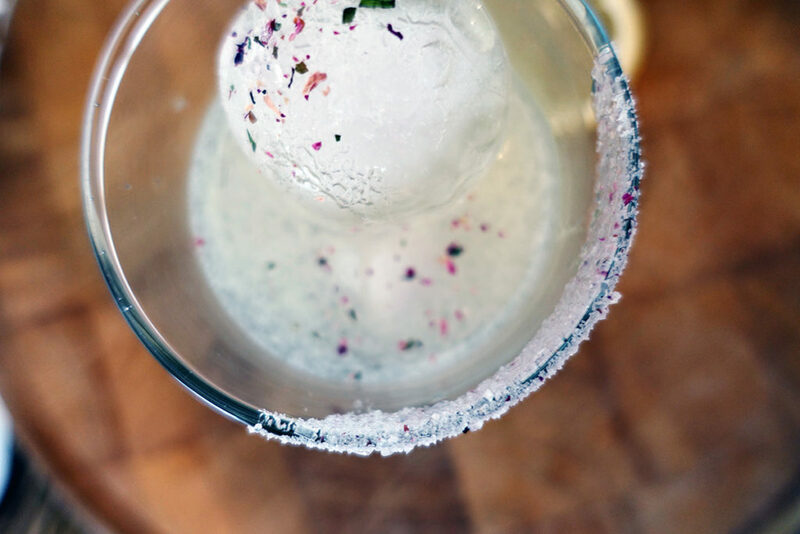 Strain into a glass rimmed with rokz Citrus Petals sugar. 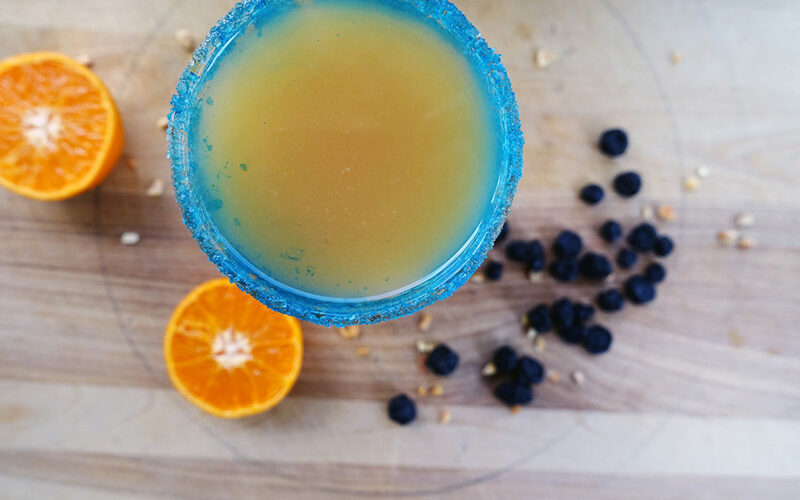 Add a dash of bitters and top with club soda. 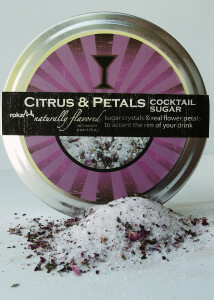 Finally, sprinkle a bit more Citrus Petals sugar over the ice cubes and add a wedge of lemon. 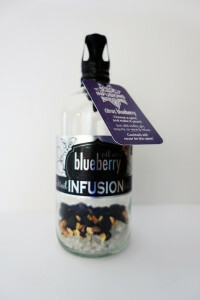 Prep: Infuse vodka with rokz Citrus Blueberry Infusion Kit (ideal infusing time – 4 days). 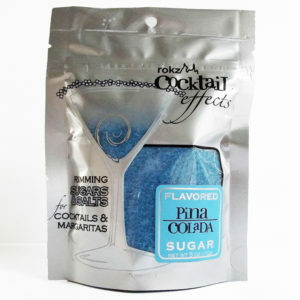 Wet the rim of a highball glass with an orange slice and dip the edge into rokz Pina Colada Sugar. 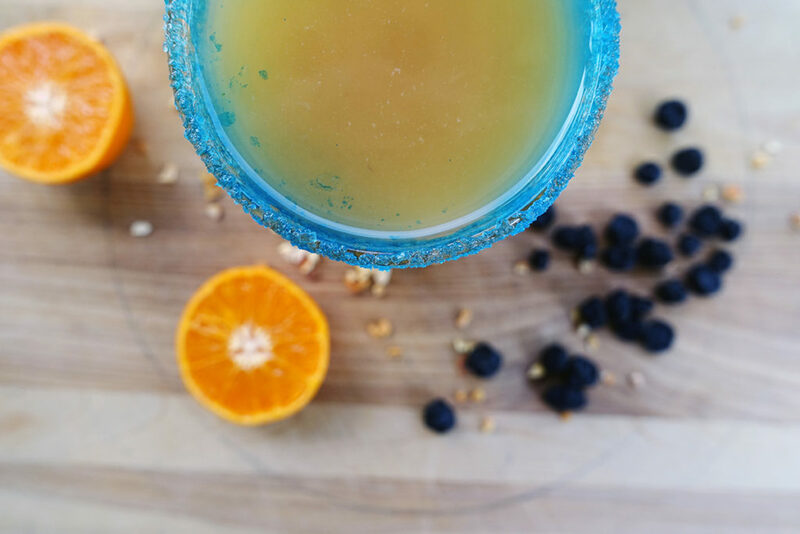 Add the orange juice and then slowly pour the vodka on top. Garnish with a slice of mandarin.